Murder by Gaslight: The Webster Mystery. Alice Hoyle had last seen her sister, Lillie the night of September 1, 1887 in the room they shared in Webster, Massachusetts. Lillie had left to use the outhouse and Alice fell asleep before she returned. The next morning, Alice was late for work and left in a rush, thinking that her sister had already left for her job. That evening Lillie did not come home and Alice noticed that her watch and jewelry were still on the nightstand where she had left them the night before. Lillie had gone out and never come back. This is the story Alice told the police the following day. As the investigation progressed, she would change it several times. Lillie Hoyle, age twenty-three, and her sister Alice, age nineteen, were orphans; their father died when they were very young and their mother died in 1883. Though they took care of themselves, they had the support of a number of aunts and uncles living in Webster, Massachusetts. They shared a room in a 2 ½ story house rented by their uncle Dixon Cowie, and Lillie worked in a restaurant and ice cream saloon on the first floor, run by Mrs. Sarah Taylor. Alice worked in a mill not far away. According to Alice, Lillie had been in a good mood the night she disappeared, singing and laughing, joking with her sister. The girls had recently returned from a week’s vacation at Camp White on the Providence River in Rhode Island and Lillie was still in high spirits from the trip. Alice was tired and was already in bed when Lillie changed out of her summer dress and into a faded blue satin wrapper, then left the room. Uncle Dixon, the last person to see Lillie alive, watched her leave the house and head toward the outhouse. When Lillie failed to return the people of Webster began a frantic search. Though Lillie had shown no signs of depression, ponds in the area were dragged in fear that she had committed suicide. There was no trace of Lillie until September 20, when two men on their way to go fishing in the adjoining town of Oxford, noticed a foul stench coming from an abandoned corn crib. When they investigated further they found the decomposed body of a woman wedged between the timbers of the crib. Her hand and feet were tied and a shawl and other clothing covered her head. The body was taken to an undertaker’s and was very soon identified as Lillie Hoyle. When Alice was notified she was overcome with grief and reportedly became delirious. An autopsy was performed, and though the authorities tried to keep the results secret, the press soon learned that Lillie had likely been murdered to hide the fact that she was seven months pregnant. Lillie was, by all accounts, a very attractive woman, with dark brown hair and bluish-gray eyes. She had a good reputation in Webster, and although she had many friends, both male and female, she had told no one of her condition and was not known to be on intimate terms with any man. Alice was also highly esteemed in town and two girls were almost always seen together. They both had lovely singing voices and had both appeared on stage in an amateur production of The Chimes of Normandy. Alice insisted that she did not know the identity of Lillie’s lover and had not even known that she was pregnant. Webster's chief of police knew from the start that the case was beyond his abilities and sent for the Massachusetts State Detective Force to aid in the investigation. The detectives worked in the utmost secrecy, keeping any clues they uncovered away from the press. At the same time, the case had become a national story and reporters, hungry for news and lacking in official cooperation, began reporting all of the local rumors. It was reported that the Cowie household was not as harmonious as it first appeared. Lillie and her uncle Dixon had not been on speaking terms for several months prior to her disappearance. Fannie Wheeler, a close friend of Lillie’s said that Lillie was planning to move out of her uncle’s house. She was frightened of his violent behavior when drunk. It was rumored that Alice not only knew of her sister’s condition but also knew the identity of her betrayer. This was vehemently denied by the detectives who told reporters they believed that Alice did not know that Lillie was pregnant. Reporters trying to uncover the identity of the man who had impregnated Lillie learned that she had been close to Isadore Nickel, a clothing merchant who had opened a temporary store in Webster and had left the town in August. Some other possible suitors were named but there was no evidence to name anyone as Lillie’s seducer. The police investigation was moving in a different direction. An analysis of the contents of Lillie’s intestines showed traces of oil of tansy, a drug used to induce a miscarriage. Lillie had apparently attempted to abort the baby and the police were looking for the doctor who prescribed the drug. Meanwhile several witnesses reported seeing a carriage speeding along Oxford Road the night of September 1, near where the body was found. Pat O’Day, a Worcester detective who was not actively working the case told the New York Herald that Worcester County was notorious for its large number of “lying-in hospitals” – private houses where abortions were performed. O’Day believed that Lillie was taken to one of them and had died as a result of an overdose of chloroform. Reporters were looking for a mysterious “Dr. Smith” who had checked into a Webster hotel the night of Lillie’s disappearance and left the following day. They were also seeking information on a Webster stable owner who had sold his establishment and left town shortly after the murder. But in spite of an abundance of speculation, the truth was still out of reach and by the middle of October the case had grown cold and the press was making comparisons of Lillie’s murder to those of Jennie Cramer and Rose Ambler – recent New England murders that remained unsolved. Then on October 31 a clue from El Paso, Texas began to heat things up again. The Webster postmaster received a letter from an El Paso plantation owner who had recently hired an Irishman from Massachusetts. When the subject of Lillie Hoyle was raised—the story had been front page news throughout the country—the Irishman had betrayed a great deal off knowledge in the matter. In fact he gave a full account of the crime, laying the blame on her uncle, Dixon Cowie, and claiming that he, himself, had been hired to conceal the body. He was paid $50 and told to go Little Rock where he would receive $150 more. 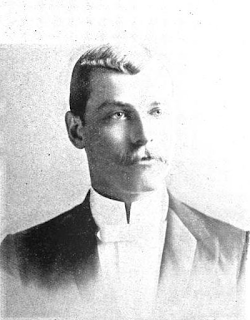 The Massachusetts detectives believed that the Irishman was the Webster hostler who had left town suddenly after the murder. Nothing conclusive came from this clue either and the case went cold again for another six months. 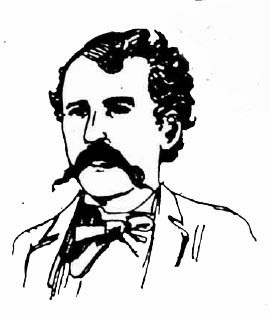 Then on May 4, 1888 the police arrested Dixon R. Cowie for the murder of his niece, Lillie Hoyle. Cowie and his wife had moved to Darien, Connecticut and appeared to be more prosperous than they had been in Webster. The newspapers speculated that he, too, had been paid for his role in the murder. Cowie agreed to return to Massachusetts without the need for extradition. On the same day, another arrest was made in New York City. 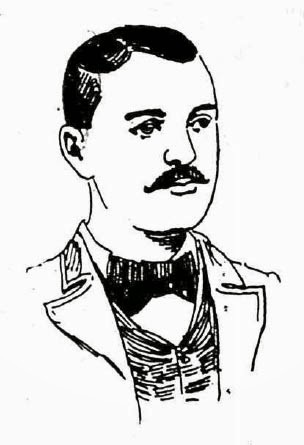 Thomas B. McQuaid, a student at the College of Physicians and Surgeons in New York, and former resident of Webster, Massachusetts was arrested for the murder of Lillie Hoyle. It was alleged that McQuaid had been intimate with Lillie and killed her to cover up her pregnancy. McQuaid was less cooperative than Cowie, and remained in custody in New York while extradition papers were filed. The detectives were reluctant to reveal the evidence against the two men, but the newspapers correctly surmised that Alice Hoyle had changed her story. After months of denying any knowledge of the murder or of her sister’s pregnancy, Alice Hoyle now admitted that she had been party to a conspiracy against Lillie that had included Dixon Cowin and Thomas McQuade. The plan had been to persuade Lillie to have an abortion, by force if necessary, and the result had been her death. Tearfully, Alice told the grand jury that her uncle had raped Lillie on numerous occasions and had tried, unsuccessfully to assault her as well. Lillie had also been consensually intimate with Thomas McQuaid and they did not know who was responsible for her pregnancy. McQuaid’s family was powerful and prominent in Worcester County and he was anxious to avoid scandal. Cowin wanted to avoid scandal as well, but was also motivated by the large sum of money McQuaid was offering for his help. Alice joined the plot because she was in love with Thomas McQuaid and would do anything he asked. The three met in a room above McQuaid’s father’s wholesale liquor store to make their plans. The night of September 1, Lillie had not left the house, but was in the kitchen of Cowie’s house where McQuaid was trying to convince her to have an abortion. They went over it repeatedly but Lillie refused to agree. Cowie sent out for some beer and when it arrived made sure that Lillie’s glass was always full. She became drunk but still would not relent. 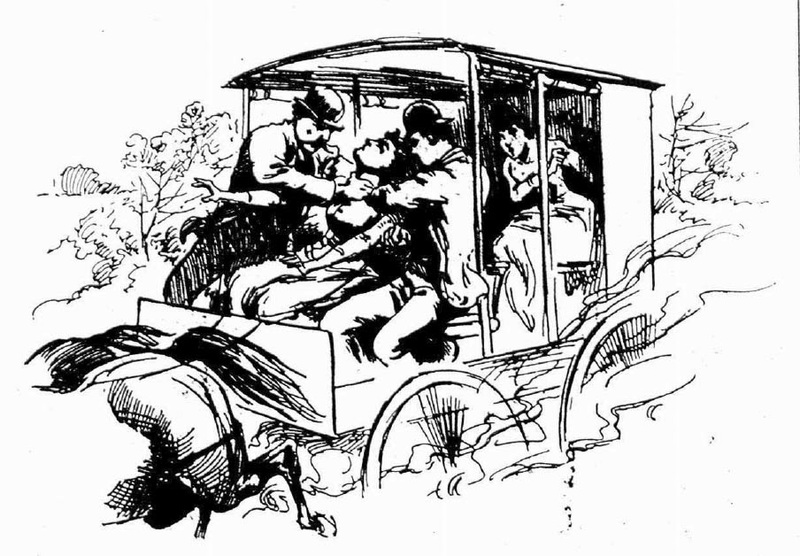 Then they applied the chloroform—Alice could not remember if she or her uncle had first put the saturated cloth to Lillie’s mouth—and while McQuaid held the horse, Cowie and Alice carried her, unconscious, to the wagon. They planned to take her into the woods and perform the operation there. Lillie sat in the front seat wedged between Cowie and McQuaid and Alice sat in the back as they drove down Oxford Road. Suddenly, Lillie awoke from her stupor making a loud, piteous cry. From fear of discovery both men grabbed at her throat. This action so startled Alice that she screamed then fainted. When she came to her senses she saw that her sister was dead. The men carried her body away and hid it in the corn crib. They returned home and Alice waited until the following day to report Lillie missing. Several witnesses were able to somewhat corroborate Alice’s story. Mrs. Taylor recalled seeing Lillie the night before the murder conversing with a man she believed was Thomas McQuaid. Their voices were raised and Mrs. Taylor heard Lillie say, “I’ll die before I do it.” A number of people saw the speeding wagon the night of September 1, and most importantly, Mrs. Wilhelmina Roache heard Alice’s scream. Cowie and McQuaid where held in the Worcester House of Correction for another six months before their official arraignment. On October 1, 1888 both men pled not guilty and while their attorneys pushed for a speedy trial, the government was not ready to proceed. 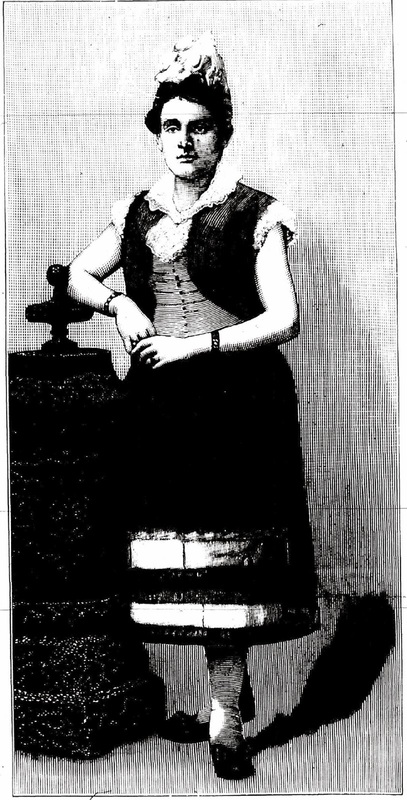 They were having trouble locating one of their witnesses, and though they would not say who it was, the press soon learned that Mrs. Wilhelmina Roche had left Webster and was living in Providence, Rhode Island. She was now claiming that she recognized Dixon Cowie as one of the men in the wagon but, though she did not recognize the other man, she knew he was not Thomas McQuaid. She also denied being paid to leave town. Alice Hoyle’s testimony was under attack outside of court. The Worcester Telegram was claiming that their reporters ascertained beyond a doubt that Lillie Hoyle died in a house in Webster where she was undergoing an abortion. Five people were present at the time and none of them were Dixon Cowie or Thomas McQuaid. On November 15, it was announced that Cowie and McQuaid were to be released without bail. Though the charges had not been dropped, the government did not have enough evidence to try the men. Alice Hoyle had changed her story again; she now, once again claimed that she knew nothing about Lillie’s death. The Attorney General would not release the details of Alice’s latest version but said it was different than her original story and different than the one she told the grand jury and included some people not previously mentioned in connection with the case. Since the murder, Alice Hoyle had been living with another uncle, Andrew Hoyle, and had not been working. The Boston Herald speculated that the story Alice told the grand jury may have been an attempt by Alice and her uncle to claim the $500 reward offered by the town and her recanting may have been paid for by Thomas McQuaid’s father. Cowie and McQuaid were never tried and no other arrests were made, but that’s not quite the end of the story. In March 1891, Mrs. Andrew Hoyle came forward with another version of Lillie’s murder as told to her by Alice Hoyle. Mrs. Hoyle was somewhat bitter at this point because her husband of thirty years had left her to live in sin with his niece, Alice, first in Rhode Island then “out west,” though it was believed they hadn’t gone any further west than Worcester County. While Alice was living there, Mrs. Hoyle had caught them together several times. Andrew and Alice had moved out about eighteen months earlier and more recently Andrew sold the house and furniture leaving his wife with nothing. This fourth Alice Hoyle story was actually her first, told privately to her aunt and uncle shortly after the murder. She told them that she, herself, had chloroformed Lillie and Cowie and McQuaid had disposed of the body. Both girls, though quite promiscuous, wanted to marry Tom McQuaid. He told Alice that he wanted to marry her but could do nothing until Lillie’s pregnancy was resolved. Alice resolved it by killing her sister. Andrew Hoyle, desperate to save his niece from the gallows and his family from scandal coached Alice and helped create the story she would tell the police. In the process they fell in love. The Boston Herald promised that new arrests were imminent but they never materialized. The story emerged a couple more times in the years that followed, always with “imminent arrests” but no one was ever arrested and eventually the story of Lillie Hoyle’s murder faded away completely. "A Foul Murder." Boston Daily Advertiser 21 Sep 1887: 1. "Murder Mystery at Webster." Boston Herald 21 Sep 1887: 5. "Cruelly Murdered." New York Herald 22 Sep 1887: 7. "Fair Lillie Hoyle." Worcester Daily Spy 22 Sep 1887: 1. "Lillie at Camp White." New York Herald 23 Sep 1887: 4. "The Lillie Hoyle Case." New Haven Register 26 Sep 1887: 3. "Lillie Hoyle's Fate." National Police Gazette 8 Oct 1887. "Lillie Hoyle." National Police Gazette 8 Oct 1887: 6. "Lillie Hoyle's Sad Fate." New York Herald 11 Oct 1887: 5. "Lillian Hoyle's Slayer." New York Herald 15 Oct 1887: 3. "Lillie Hoyle." The National Police Gazette 15 Oct 1887: 3. 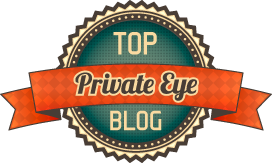 "Lillie Hoyle's Murder." Boston Daily Advertiser 1 Nov 1887: 1. "The "Webster Mystery"." New Haven Register 5 May 1888: 1. "Lillie's Uncle Arrested." New York Herald 6 May 1888: 18. "For the Lilla Hoyle Murder." Boston Herald 6 May 1888: 4. "Confeassed." The National Police Gazette 26 May 1888: 7. "Lillie Hoyle's Murder." Worcester Daily Spy 2 Oct 1888: 1. "Alice Hoyle Recants." Boston Herald 10 Oct 1888. "She Was Not Murdered." Trenton Evening Times 15 Oct 1888: 1. "Stranger than Fiction." Boston Herald 16 Nov 1888: 2. "Lilla Hoyle's Death." Boston Herald 19 Mar 1891: 1. Would love to know what happened to Alice after this. What a character. Good story. Not the most honorable family.Lille would've been better off moving away from her demonic family and beau.